In the presence of His Highness Sheikh Maktoum bin Mohammed bin Rashid Al Maktoum, Deputy Ruler of Dubai and Chairman of Dubai Media Incorporated, Dubai Press Club in cooperation with the Abu Dhabi National Defense College (NDC) and backed by the National Media Council (NMC) launched the first edition of the “Media Leadership” program today (Thursday) at Dubai Press Club with the participation of the heads of media organisations across the UAE. 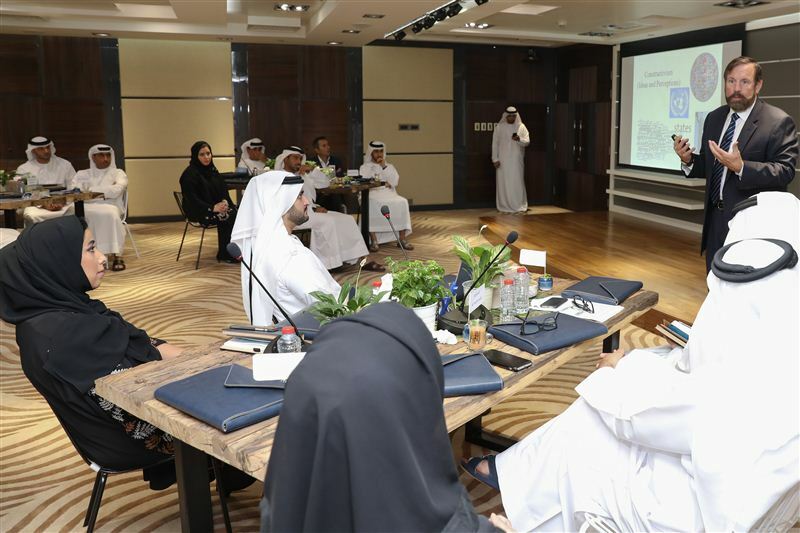 His Excellency Mansour Al Mansouri, Acting Director General of NMC, attended the launch of the three months program which aims to raise the participants’ understanding of national security issues and its strategic dimensions, and how such issues can be covered in the media. 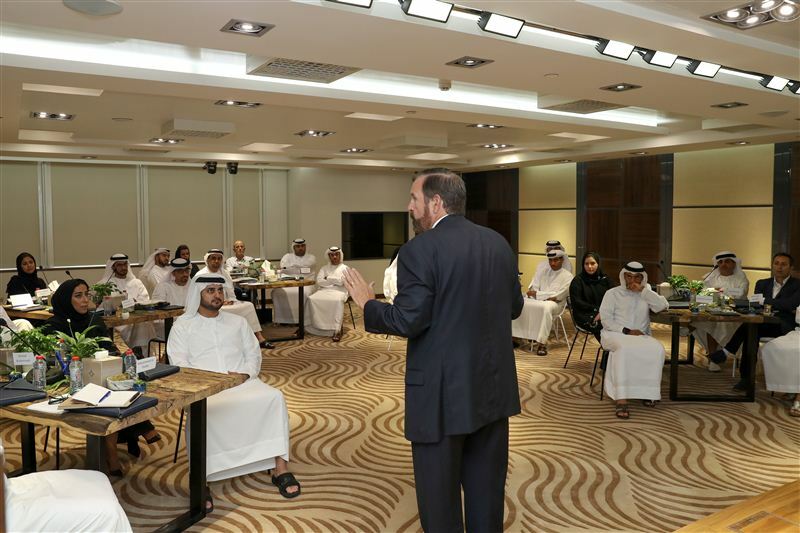 The program also aims to assist media professionals in evaluating present and future challenges, as well as understand and deal with various regional and global developments. Participants in the program include, Dr. Ali bin Tamim Editor-in-Chief of ‘24.ae’, Ahmad Al Hammadi, CEO, Publishing Sector, Dubai Media Incorporated, Mohammed Al Otaiba, Editor-in-Chief of The National newspaper, Mohammed Al Hammadi, Editor-in-Chief of Al Ittihad newspaper, Mohammed Al Mulla, CEO, Arab Media Group, Abdul Hadi Al Sheikh, Executive Director of the Department of Television at Abu Dhabi Media, Abdul Rahman Al Harthi, Executive Director of Abu Dhabi Radio Network, Majed Al Suwaidi, Managing Director of Dubai Media City, Dubai Studio City and Dubai Production City, Raed Barqawi, Executive-Editor-in-Chief, Al Khaleej Newspaper, Sarah Ahmed Al Jarman, General Manager, Dubai One Channel, Riyad Mickdady, Executive Editor-in-Chief Al Bayan Newspaper; Khadija Al Marzouqi, Editor-in-Chief of Emirates 24/7, Mahmoud Al Rasheed, General Manager, Arabian Radio Network, Sami Al Reyami, Editor-in-Chief of Emarat Al Youm Newspaper, Mohammed Jalal Al Raisi, Deputy Executive Director, Emirates News Agency (WAM), Mahmoud Al Awadi, Senior Gulf Manager for Elaph and Editor in Chief for 7Days, Mustafa Al Zarooni, Managing Editor of Khaleej Times newspaper, Shurooq Rashid Al Suwaidi, Director of Strategic Planning, Sharjah Media Corporation; Faisal Al Tenaiji, Chairman of Masdar News; Abdullah Al Abdouli, Founder of Senyar News; Ahmad Al Alawi from Al Ain News; Hassan Al Marzouqi from Fursan UAE; and Salem Al Jahoushi from Fursan News. Participants from the Government of Dubai Media Office include, Abdullah Al Mansouri, Corporate Support Director; Salem Bel Youha, Director of Media Services; Noora Al Abbar, Director of Communications and Innovation; Nehal Badri, Head of Strategy and Planning; and Noora Al Mansouri, Senior Manager of Strategic Communications. 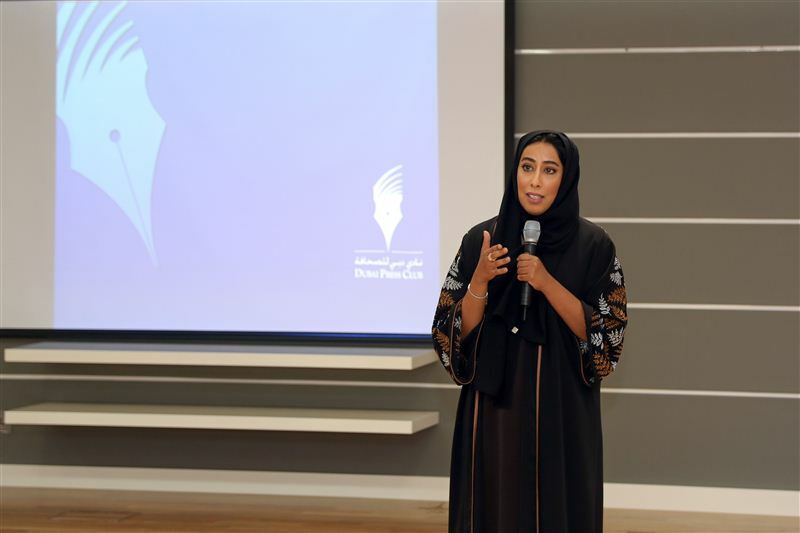 Her Excellency Mona Ghanim Al Marri, President of Dubai Press Club (DPC), welcomed the participants on the first day of the Program and thanked the Abu Dhabi National Defense College for their academic support to the program by a number of highly qualified professors. She said the program, announced last May with the support of the National Media Council (NMC), aims to enhance the skills of media professionals in covering issues related to national security including its wide-ranging strategic dimensions. The program seeks to assist the participants in assessing and coping with current and future challenges, as well as responding to new regional and global developments. The program will cover topics such as: national identity and sovereignty, the notion of state and the elements that affect them and their security, the importance of political stability in building people’s abilities, strategic thinking and how to define objectives and means of achieving it, information as a key element of national sovereignty, and strategic thinking in developing media messages.The program also seeks to help attendees sharpen their analytical, research, critical thinking and evaluation skills in an interactive learning environment. It also aims to enable them contribute to the process for policy development and strategic national decision-making.